Liverpool came from behind to beat Southampton at St Mary's and return to the top of the Premier League table. Shane Long handed Saints an early lead with a composed finish from close range before Naby Keita headed the visitors level with his first goal for the club. Liverpool dominated the ball with 70% possession in the second half but they were limited to just one shot on target before Mohamed Salah struck. 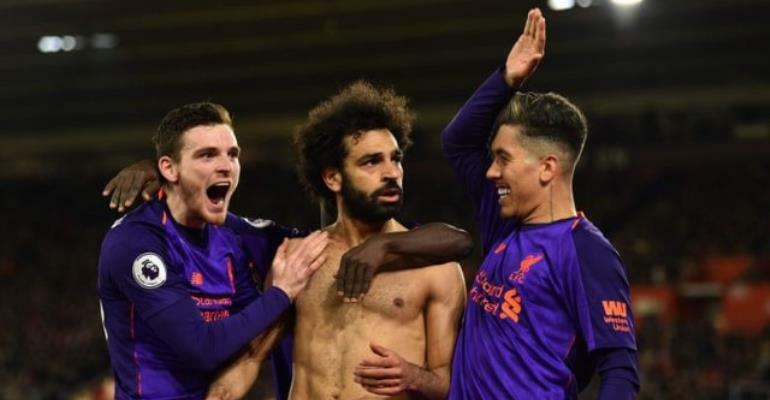 The Egyptian fired past Angus Gunn with his left foot to score his first goal in seven league matches, before substitute Jordan Henderson sealed victory late on. With five matches to play, the result sees Liverpool leapfrog Manchester City and open up a two-point gap at the top, although the defending champions have a game in hand.